Google has introduced the Android Q Beta. If you want t know all the ins-and-outs of the new Beta, there is a dedicated blog post about the OS available on the Android Developers Blog. If you are interested in being an early tester of Android Q Beta, this year all three generations of Pixel smartphones support this OS in OTA updates, after you enrol. It is also possible to test and tinker with Android Q Beta via the Android Emulator. Interestingly, using this emulator with the fledgling OS version for the few hours it has been available, Twitter user Michael Young noticed an expansive 'Desktop Mode' was included in Android Q.
adb shell am start -n "com.android.launcher3/com.android.launcher3.SecondaryDisplayLauncher"
If you are on your Pixel smartphone, it is still possible to activate this mode, but of course it won't be optimal. 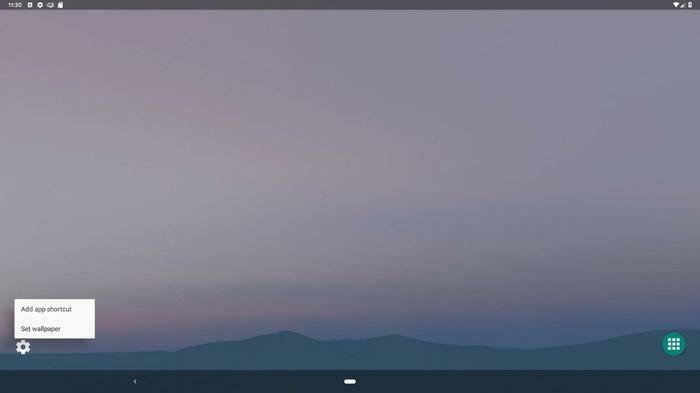 The string 'SecondaryDisplayLauncher' in the activation command suggests that this UI design is for a screen you connect to your smartphone via a wired or wireless connection. XDA Developers note the commands needed to fire up desktop model on a Pixel phone. However, these devices don't support cabled monitor connections and it advises users to change the Pixel's DPI before casting it to an external display. 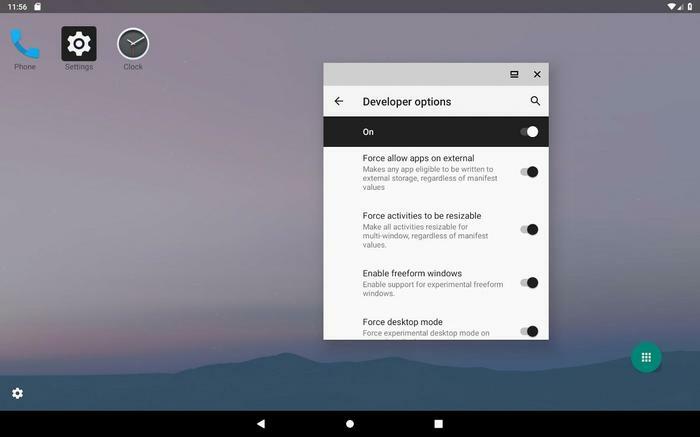 As well as the above, it is hoped that there will be a system-wide dark mode implemented with an 'override' option to force apps without dark mode to work with the night-friendly colour scheme. Google I/O is in May so there will be some more details about Android Q there. Meanwhile people are debating which sweet treat will be the version codename for Android Q. I'm pretty sure it won't be Quality Street. All images via XDA Developers. Tried, the interface is an absolute glitch, at least on my machine. 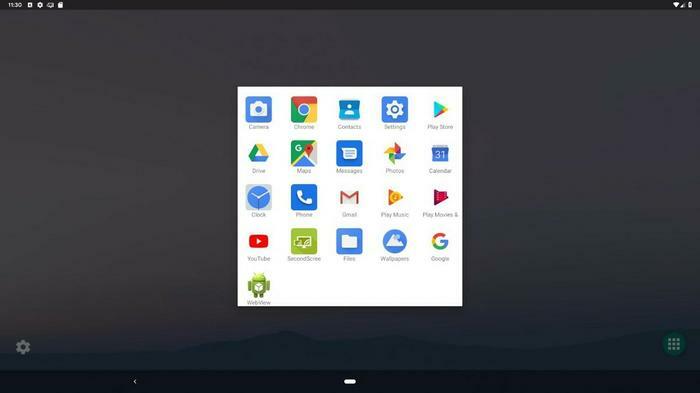 Is this the first glimpse of the operation to merge ChromeOS and Android? Apple is trying to do it with MacOS and iOS, it makes sense! Looks like a less polished rendition of Samsung's Dex feature, which Google most likely helped Samsung bring to fruition. It'll be interesting to see where this goes and whether Dex continues to exist as a separate entity, or just gets made redundant by Android's own growing feature-set.